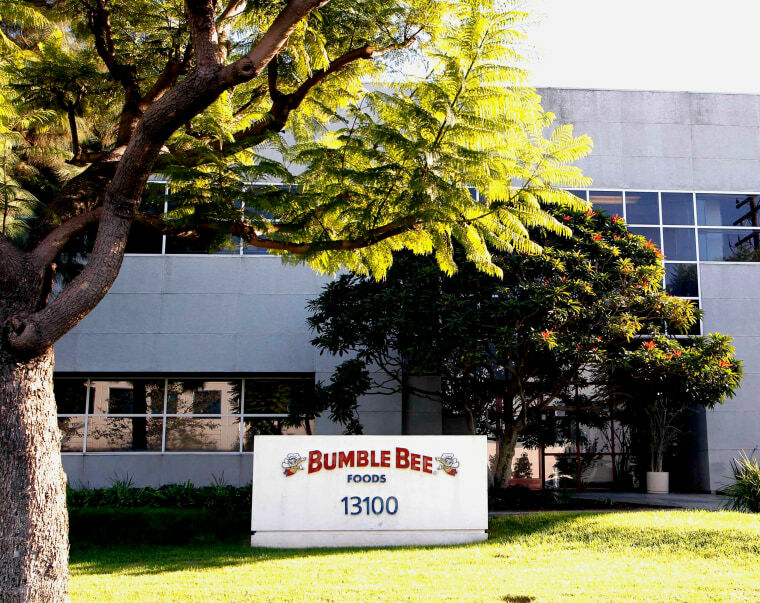 LOS ANGELES — Bumble Bee Foods and two managers were charged by Los Angeles prosecutors Monday with violating safety regulations in the death of a worker who was cooked in an industrial oven with tons of tuna. Jose Melena was performing maintenance in a 35-foot-long oven at the company's Santa Fe Springs plant before dawn Oct. 11, 2012, when a co-worker, who mistakenly believed Melena was in the bathroom, filled the pressure cooker with 12,000 pounds of canned tuna and it was turned on. When a supervisor noticed Melena, 62, was missing, an announcement was made on the intercom and employees searched for him in the facility and parking lot, according to a report by the California Division of Occupational Safety and Health. His body was found two hours later after the pressure cooker, which reached a temperature of 270 degrees, was turned off and opened. The company, its plant Operations Director Angel Rodriguez and former safety manager Saul Florez were each charged with three counts of violating Occupational Safety & Health Administration rules that caused a death. The charges specify that the company and the two men willfully violated rules that require implementing a safety plan, rules for workers entering confined spaces, and a procedure to keep machinery or equipment turned off if someone's working on it. Rodriguez, 63, of Riverside, and Florez, 42, of Whittier, could face up to three years in prison and fines up to $250,000 if convicted of all charges, prosecutors said. Bumble Bee Foods faces a maximum fine of $1.5 million. Prosecutions of workplace violations are uncommon — even in fatalities.